I think I have solved the SportBand conundrum, and today it recorded 8.34 miles for a run that the Garmin had as 8.34. With three weeks to go to the Seaford Half, I ran part of the route, around Seaford Head itself. I also ran six miles on Friday, so I am returning to training. Friday was painful, today less so, though hot. I ran five miles on Sunday, the first time since the previous Sunday. Once more I failed to get the Sportband to work. More effort needed. 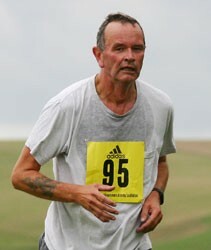 With four weeks till the Seaford half-marathon, I may try a little speed-work, and a bit more distance.